Efest offers us these new 21700 batteries. 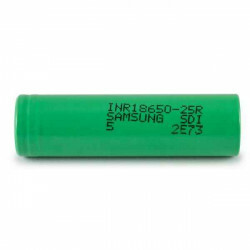 These are high performance batteries with 3700mAh capacity and a stable discharge of 35A. Capacity of 50000mAh. Positive pole without button.Ideal for MODs 26650. Power and at the best price.